Update: Nearly 2 years after writing this, I decided to start selling the same compost tea brewer that I use. You can check it out (and learn more about compost tea) here. A compost tea recipe doesn’t have to be complicated in order to be effective. In fact, the simplest compost tea recipes are often the best because they’re easier to experiment with. In case you don’t know, compost tea doesn’t look like my literal interpretation in the picture here. It’s actually made by putting a small amount of compost in a bucket of water and bubbling air through the water with an air pump to pull beneficial microorganisms from the compost and give them air to breathe. Then, we add specific foods to feed and multiply the microbes. The resulting tea is applied to the garden. To make a high quality compost tea that’s going to provide amazing benefits for your organic garden, you need to get a lot of factors right — air pressure, water quantity, size of the air bubbles, amount and types of compost and microbes foods, and on and on. Today, I’m focusing on the ingredients. Whether you buy a compost tea brewer or make your own, you start with just a small amount of exceptionally good, aerobic, nice-smelling, fully finished organic compost. A mixture of two or three different composts is even better. Using different composts will bring more microbial diversity, and you can even throw in a small amount of healthy soil. You can put this compost first into a mesh bag or directly into a bucket of clean, room temperature water. Many people use a five-gallon bucket, which is fine if your pump is powerful enough. If you’re just using a basic aquarium pump, I suggest putting only a gallon of water in the bucket and cutting the ingredients by 80%. Using less water ensures you have enough air moving through. By “clean” water, I mean it can’t have chlorine in it. If you use city water, you need to let that bucket of water sit out for 24 hours for the chlorine to dissipate, or you can turn your air pump on for 20 minutes instead and that also does the trick. If your city uses chloramine to disinfect the water, you need to tie it up by adding ascorbic acid (vitamin C) or humic acids. I use no more than a tablespoon of my particular brand of humate in a five-gallon brew. Your pump will blow air through tubes that are in the bottom of the bucket, the tubes attached with waterproof tape or weighed down somehow. The air goes through the water and compost, keeping the environment aerobic to favor the aerobic microbes, and physically pulling them off the compost. In the old method of making compost tea which was just to let it sit and perhaps occasionally stir it with a stick, those microbes would mostly stay attached to the compost with the sticky substances they manufacture, and wouldn’t have enough air to multiply. The new method gives them the right amount of air, plus we add the foods they need to multiply. Examples of good microbe foods include molasses, kelp, fish, humic acids and rock dust. Obviously, these products shouldn’t have preservatives in them, because preservatives are designed to kill microbes. A good batch of compost tea can be a miracle worker when it comes to fulfilling your organic gardening goals. It’s a microbial inoculant to improve your soil food web, broad-spectrum organic fertilizer to foliar feed your plants, and even pest control (although it can’t legally be called that). And this simple compost tea recipe is all you need to get started. If you have any questions, feel free to let me know below. Hi Phil…great stuff, as usual. I’m looking for a solar powered aerator to drop in my compost tea bucket. Do you or anyone know if there’s one out there? I’d say such a device from the technospere might be allowable in the biosphere…so when the sun shines our little microbial buddies will get some oxygen. Rex Harrill from the Brix talk forum supplied a couple of your links. Very cool…and a great compliment to you. Hi Phil, I read something recently about the use of compost tea during or just after the use of a subsoiler (ie yeoman’s plough or general sub soil ripper) where the soil is not turned over or up, rather just ripped in a line with a plough in the shape of an upside down ‘T’ like the keel of a yacht. I understand the great benefits of applying compost tea to biologically active areas of soil and vegetation however do you know of any benefits of applying bio active compost tea to soils such as inactive clay sub soils? I don’t see what the compost tea organisms can feed on in the inactive sub soil once they have consumed all of the molasses or other feed they were sprayed in with… The only way I see a benefit of placing compost tea into sub soil is if the farmer somehow mixes a substantial amount of organic material into the sub soil area to assist in creating/expanding the depth of topsoil. Some of these articles are written by influential permaculture teachers and it seems I’m not getting the point here! Your thoughts would be most appreciated.Kind regards,Ben. Hi Ben, that’s a very astute observation. If there’s no organic matter down there, I would think that most of the microbes won’t stick around for long. Perhaps just being there for a little while will help improve the soil, though. Maybe applying some humates along with the tea would give them a better habitat. Perhaps some roots will find their way down in there to feed the microbes. I’d be very interested to see some research on all of this.And you’re right, applying organic matter would be the best if at all possible, and really, it wouldn’t need to be much to provide food and habitat for the microbes. So, key line , then molasses and compost water mix in my irragation tank after hay feeding my cows? . That’s interesting Eric. I hadn’t heard that corn promotes Trichoderma. That could be useful, but in my opinion, the goal of most compost tea applications is to promote as wide a diversity of beneficial microbes as possible.If we focus on the Trichoderma, which certainly may be beneficial but may also inhibit certain microbes including mycorrhizal fungi, we’re not really doing much to improve the diversity of our soil food web.So in my view: Fun experiment for advanced compost tea brewers? Sure. Good goal for the other 99%? No, it’s probably better for most gardeners to stick to compost and perhaps effective microorganisms, and for more advanced gardeners to stick to balanced compost teas. We have a worm farm that produces a lot of worm tea, which we dilute and feed the vegetables. Are there are disadvantages to this? Hi Phil, I happened upon your site while researching the soil food web. What Helen is referring to is not tea but leachate. It can contain E. coli and other anaerobic nasties and I for one would never use it on my plants. Vermicompost tea is made the same way as compost tea–only it’s been proven to be more effective and have a greater variety of microbes. When I make vermicompost tea, I also throw in a little regular compost to get the best of both worlds. As I’m sure you are aware, there are also techniques to bias the mix toward bacterial, fungal or neutral. Keep up the good work. Thanks Jim, yes, compost leachate is often horrible stuff, but coming out of a vermicomposting system, it can be beneficial. Helen, I should have mentioned that it would be best to get it tested by Soil FoodWeb if you’re planning to use it on a large scale. Compost tea results will vary. I’ve test exactly the same recipe that Phil mentions in his article above multiple times, but have seen no improvement over the placebo. I’ve also read a study from a university extension service that says you shouldn’t use compost tea on indoor seedlings –especially if it has molasses — because of increased damping off. According to the study, this is true even when watering from the bottom.That’s not to say it doesn’t work for some folks who hit the mark and get the right microbes growing in their tea. But my point of view is that brewing effective tea is more difficult than most garden writers suggest. It’s a garden investment that I would better make elsewhere. Hi Bill, you’re definitely right about the fact that making good compost tea takes some effort. You certainly can’t put together your own brewer and expect to make a great tea without doing some lab testing and some tweaking to your brewer.Or if you’re already composting, it makes sense that using regular homemade compost tea may not improve your soil food web much more than your compost already has, and so won’t make much difference. That being said, I’ve been involved with compost tea since 2005, and the results often blow me away. You just need to get a good system going, as you said. I take your point Phil, for the vast majority of applications we want to introduce as broad a spectrum of “good” microbes into the rhizosphere as we can, and let the plant-soil ecosystem select out what it needs, for example, via root exudates. In which case we should try to brew our tea with as wide a variety of quality compost sources (castings, pond muck, etc.) and as wide a range of quality food sources as practicable. (I would recommend the addition of inexpensive organic oat or wheat bran and soy bean meal.) This makes sound practical sense because the soil is probably THE most complex ecosystem on the planet, and we are only beginning to unravel its often subtle web of inter-connections. Until we know more we should proceed delicately in our gardens.All that having been said, I think seeking to selectively brew bacterialy or fungally dominated teas has proven an easy and effective technique (“Teaming with Microbes”). In some case, like for foilar spraying, brewing a less bio-diverse, more focused tea has real potential. I have little doubt that we will eventually be able to brew teas effective at targeting specific pathogens or pests. Or how about a “Tricho tea” inoculation for a new corn field?Now is our chance to get in on the ground floor of this exciting new science. Get a microscope (400x), learn to identify the main types of soil organisms, refine your brewing techniques, and set aside a place in your garden for experiments.It sounds much harder than it actually is, and there is plenty of work to be done. Agreed, it’s an open field for people who enjoy experimenting. We just have to be careful not to get so specialized that we forget to adequately address the basics. Great article Phil. I still do it old school in a 20 gal muck bucket without aeration. A couple shovels of compost, several handfuls of alfalfa pellets, and fill with water. Stir occasionally, and let steep for several days until the alfalfa forms a froth on the top. Dilute 5:1, and pour it on where needed without filtering out the large bits. Wonderful results. Feed the soil, not the plants. The plants will take care of themselves. Thanks Bill. Yes, the older method doesn’t extract near as many microbes, but that doesn’t mean it’s ineffective. I suspect it’s acting as a nice little fertilizer. Easier to make, too. Hi Phil – You know, that has been debated a lot on the SoilFoodWeb newsgroup. While aeration does produce better aerobic microbial numbers in the bucket, what happens after it soaks into the soil where the mechanical aeration no longer exists? The water near the surface remains aerobic sustaining the aerobic species in the tea, and the water that soaks deeper becomes anaerobic sustaining those species. In other words, the soil microbe stratification remains the same.I argue it is a self adjusting system. You can select for aerobic or anaerobic in the bucket by your tea making process, but that will all change once it hits the dirt.Further, merely watering the garden creates tea in situ. If you incorporate into the vegetable garden the same compost you brew with, you are making extra work for yourself. 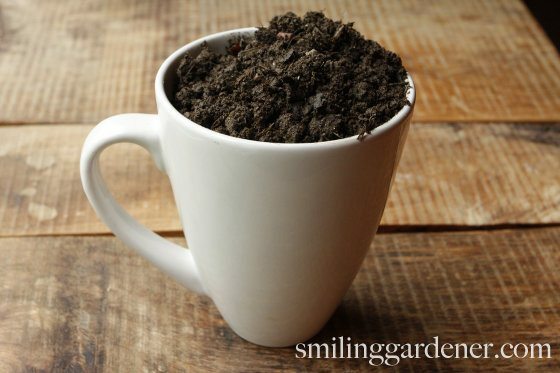 Tea allows you to spread the benefits of compost over a much larger area. You can add tea to a permanent potted plant that you cannot disturb to add compost to. Likewise, pouring tea on a lawn is less work than spreading compost. You can reserve compost for the beds that you want loamy soil while enhancing the microherd in the soil on the rest of your property. I’ve followed the debates over the years. I mostly use compost tea to inoculate my plants and mulch, which is why I prefer aerobic. You’re right, there are applications for fermented teas, too.But compost is still better than compost tea if you have a choice. Compost supplies the organic matter that tea doesn’t supply, and has many times more nutrients. You can spray tea on your lawn and potted plant, which is an awesome way to get the microbes in there, but it doesn’t make up for a soil that’s low in organic matter. So the “extra work” of compost is quite critical extra work. Thanks Phil. I have used this recipe before and I have been pleased with the results but it has been a while. I think I need to try it again. Question: When making the tea it starts to develop a bubbly foam on top. It almost looks like a pond scum. I thought I read somewhere that that is a good thing. Is that true? Also, I have some mycorrhizal fungi in powder form. If I added a little of that into the compost tea would it multiply and/or be beneficial? Thanks as always. Hi Andy, the foam is normal. It’s no problem. Adding mycorrhizal fungi to the tea isn’t beneficial, and they don’t multiply. If you’re planning to do a soil drench, you can add them to the tea right before you spray. Wow! this is indeed a very interesting tea. Thank you so much for sharing this page. Great article. You mentioned, “Examples of good microbe foods include molasses, kelp, fish, humic acids and rock dust.” You include kelp and fish in the recipe but not humic acid or rock dust. Do the kelp and fish replace the humic acids and rock dust? Would it be a better tea with them? If so how much humic acids or rock dust would you add to a 5 gallon bucket of tea? There’s still a bit of debate about using humic acids, but I use it especially if I’m brewing with city water, because the humic acids tie up the chloramine that my city uses. I use no more than 1 Tbsp. I also use 1 Tbsp of rock dust. Timing is everything they say…..last winter here in Michigan was quite mild and there’s no saying what sort of winter this one coming will be but my question as I am starting to put my heap to bed for the winter is this….. will the areas of my garden in which I intend to plant and other areas with berries and such benefit with a good drenching of compost tea NOW…or should I just wait until early spring when the garden’s soil is nice and warm. I turn my heap in January and the column of steam that rises into the air is quite impressive. Thanks for this great blog! It will definitely benefit now, and it’s worthwhile if you’re planning to grow and harvest crops this fall.If you only make tea a couple of times a year, it’s nice to do them when you’re actively growing crops – spring, summer and perhaps early fall. Hi Phil, with the compost tea recipe above, from a 5 gallon container of water you mentioned to go one gallon of water, but how much ingredients would I need to use with one gallon (because I have a small aerator not an industrial one.By cutting the ingredients by 80%, I am not sure how to do this, can you pls help. Hi can I use a good organic compost bought from Bunnings? because I have not got my own made yet? and how do you apply it, do you mix this tea with unchlorinated water before i give it to the plants, if I have to add water how much do I add to that one gallon (4 Litres), and is it sprayed over the leaves or do I give a small amount into the ground where the main stalk of the plant is? Odds are that the compost from Bunnings is not necessarily loaded with beneficial microbes. You could use a little of it, but I would recommend also getting another source. If someone in your city is making fresh worm compost, that is usually a good addition to a tea.You don’t need to mix it with any more water – just spray it directly onto plant leaves and also it’s great if a little goes on the ground. Phil the tea brew do you mix this with additional water, how much water to a gallon of tea brew. Also do you feed to where the stem is in the ground, or spray over the plants leaves? I don’t mix with more water. I try to spray the whole plant – leaves, stem and the soil beneath it. I’m thinking of trying something a little different to brew my tea. I have a small aquaponics system I’m going to use. First I’ll remove the fish. I will be able to brew 100 gallons of tea ! Tell me what you, everybody think/s. Worthwhile if you have 20 acres, but otherwise there’s no need to make that much tea. 5 gallons of good tea can cover an acre, and it’s certainly easier to brew less. Hi PhilI have a couple of of questions. Is it even worth doing with an aquarium pump say a gallon amount as you suggest? Can I use sea water in my compost tea? I live on the coast so it is easy to get. Also what is the best way to apply the tea with a spray? Hi Phil. Ive been debating whether to get a batch of compost tea going, but am starting to feel a bit discouraged by some of the comments on this thread. I dont have access to a lab, nor the money for testing. I have a pretty decent green thumb, and have never had any problems with growing anything before, even in the absence of compost. If I were to build a tea brewer, what would be the most important aspect of the build? Is too much aeration a bad thing? Is it possible to over fertilize with compost tea? If I were to built one, it would be with a larger garbage can and a sufficient commercial aquarium pump. Any input would be great!! Just started my Compost Tea Brewer for the first time. The pamphlet in the brewer says to run a batch for 12 hours, kiss says 24 to 36 hours. Does it matter? Can you put Humic Acid in the brew? My wife has a friend that would like some “tea” for their garden. Can I let a partial brew run for 72 hours to keep it aerated? Do you put EM in with the brew? If so, can you send me a link to the instructions. We bought the glacial and basalt rock dust. Which one should be used in the brew? Their original brewer could do a brew in 12 hours, but the pumps didn’t last long. These newer pumps take longer (24 hours is great, 36 hours is usually even better), but these pumps last a long, long time. Yes, you can use humic acid. Ideal is to put 1 Tbsp of humic acid in at the beginning and run the pump with just that for a couple of minutes. If your water has chlorine or chloramine, the humic acid will help neutralize it. 72 hours is pushing it, but it should still be okay. It won’t go bad as long as it stays well-aerated, but the microbial mix of the tea will change to the point where it won’t be as effective as a 36-hour tea. I’d have no problem doing this occasionally, but would want it to be shorter for most applications. Yes, I put 1 Tbsp of EM in along with the other ingredients at the beginning. You can use either or both dusts in the brew. On your compost video you use a garden hose with a sprayer; however, in another place you say do not dilute the brew…..which is it? Undiluted is best for foliar applications of compost tea, in order to get the max number of microbes on the leaves. Diluted is still okay, but undiluted is ideal. For soil applications, diluted is fine. Most of my plans are for foliar spraying. Since 36 hours is better for a brew, what do you do if rain shows up 1.5 days after beginning your brew? How far in advance of a rain should you apply compost tea as a foliar spray? I’m happy to brew for anywhere between 24 and 48 hours, so if rain is coming, I have some flexibility as to when I stop it. As far as applying before a rain, I’ve never seen any set rules as to timing. A light rain is fine. A heavy rain will remove some of the organisms, but not all of them. Are you continuing to use molasses in your teas? I see that Elaine Ingram is no longer using it in her recipes. Thanks for helping me learn more about gardening. Yes, I still use molasses at the above rate. Just that small amount. And I make sure my tea is well-aerated during brewing.